Have you heard the term “reverse mortgage”? Wonder what it is? Anyone that has bought a home knows what a mortgage loan is. It is money you borrow from a “lender” to buy a home. Ok, if you have lots of cash you don’t have to borrow money to buy a home. But most folks do. The lender requires the homeowner to make regular payments to pay off the “mortgage” over time. Usually, 30 years. The payments reduce the amount of the mortgage and pay the lender “interest” on the loan. Reducing the mortgage, increased the amount of “equity” the homeowner has in their home. So, What Is A Reverse Mortgage? As the term implies, it is the opposite of a mortgage. With a reverse mortgage, the lender sends you money. A lump sum, monthly or other scheduled payment. As a homeowner receives the money, the reverse mortgage loan increases. And with increasing mortgage debt, the equity in the home declines. Interest isn’t paid on a reverse mortgage, but added to the loan balance. A reverse mortgage is a loan against the equity in a home. No equity, no reverse mortgage. Now here is the fun part. If you don’t make the mortgage payments on a “regular” mortgage you can lose your home. But with a “reverse mortgage” you won’t. Why? You don’t make payments on a reverse mortgage. And here are some more benefits. – Be a single homeowner at least 62 years old. – For a couple, one person must be at least 62 years old. For a couple with only one person being 62 or older, the reverse mortgage money borrowed will be less. – You must own your home and have no debt against the home. – The home must be the borrower’s principal home. That means you have live in the home for more than 6 months a year. – The home must be a single family home, a 2 to 4 unit building or an approved condominium. 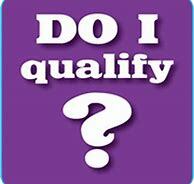 A planned-unit development will also qualify. And last, a mobile home with a foundation meeting HUD guidelines also qualifies. – The borrows’ financial situation must meet the lenders’ rules. Lenders will look at your credit history, income and expenses. There must be enough free cash to pay property taxes and home insurance. Well, that depends on a couple of things. The reason a person would want a reverse mortgage is to get their hands on the money from the equity in their home. Without equity, there isn’t a reverse mortgage. The amount received depends on the home’s worth, the age of the borrower, interest rate and lender fees. Remember, there can be no debt on the home. The proceeds from the reverse mortgage can pay off any debt first. But that will reduce the balance of the reverse mortgage for future use. With that in mind, the most cash is available for older borrowers living in homes with the greatest value. And the lower the interest rate charged the greater the amount of money available. Another big factor in the amount of cash you receive from a reverse mortgage is how you receive it. Most people need a monthly income to live on. That makes a monthly payment is a popular option. A reverse mortgage can make a set payment amount for a specified number of months. Or, it can make a set payment for as long as you live in your home. Or for life. The longer the period of time to received payments, the lower the amount of the payment will be. An alternative to monthly payments is to create a line of credit. Using a line of credit means you only draw money from the reverse mortgage when you need it. And the interest isn’t charged until you use the money. That means you only pay interest on the money used. And that will make the balance of the reverse mortgage last longer. This option a better way to access funds if your financial goal is to limit the equity you pull from your home. The size of the line of credit will be set at the time you close on your reverse mortgage loan but may increase over time. Another option is a lump sum payment. It is the least beneficial to most people. A lump-sum payout only makes sense when you have an immediate need for a large amount of cash. This option might work if you need a large chunk of money up front and a regular monthly income. It is a combination of the preceding three programs. And some reverse mortgage lenders will allow you to alter the payment structure as time goes on. When Is A Reverse Mortgage Repaid? When the last surviving borrower dies, sells the home, or moves away. In this context, “moves away” means that they haven’t lived in the home for 12 consecutive months. – Property taxes aren’t paid. In these situations, the lender may be able to make more cash available to resolve the problem. Note the word “may”. It is not a sure thing. At the end of the day, reverse mortgage borrowers are homeowners. And are responsible for insurances, taxes and maintenance of the home. It is important to understand that you can never owe more than the value of your home at the time the loan is repaid. 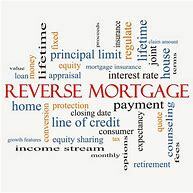 A true reverse mortgage is a non-recourse loan. That means that in getting repaid the lender only has your home. They cannot take your income, other assets or your heir’s finances. Will A Reverse Mortgage Effect Your Government Sponsored Benefits? Social Security and Medicare benefits aren’t affected by reverse mortgages. But Supplemental Security Income (SSI) and Medicaid are different. Reverse mortgages will affect these and other public benefit programs under certain circumstances. So if you are receiving SSI and/or Medicaid talk with an attorney or financial adviser.